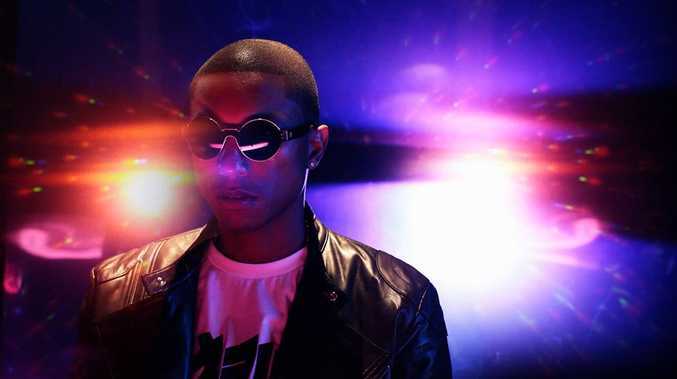 PHARRELL Williams loves British weather and claimed it helps create "special" music. The 'Happy' hitmaker - who appeared at the Nordoff Robbins O2 Silver Clefs Awards yesterday - doesn't mind the rain in the UK because he thinks it plays its part in the country's rich history of art. Speaking before accepting the Raymond Weil International Award at the ceremony at the London Hilton hotel, he said: "Music is special here. It's not the water, it's the vibrations from the land. "It's also to do with the climate, it's grey, a lot of the emotions are always up and the music and art is amazing because of it. "That sounds a little esoteric but when you think about it geographically, in places where it rains a lot, art tends to be so good. U2, [David] Bowie, Elton John, it's all rain music." The producer also praised upcoming British talent, suggesting Ed Sheeran is already one of the best. He added: "Ed Sheeran is one of the greatest, period. Sam Smith is talented, he's different. "I love what Disclosure's doing. What I notice is that the R&B scene here is becoming super interesting."